The Society was founded in 1980 by a group of Dockyard men dedicated to perpetuating the history and work of Chatham Dockyard. By the time that the Dockyard closed in 1984, they had created a Museum of Dockyard and Naval artefacts in the old Lead & Print Mill. They were lecturing and undertaking research for visitors to the museum and for members of the public who wrote in seeking information about relatives who had worked in the 'Yard' or served in the Navy. The Society's Reference Library is thought to be one of the finest sources of nautical history in the south-east. 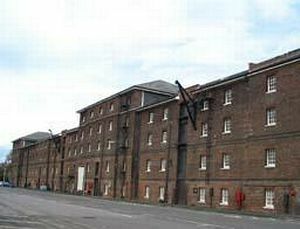 In the Spring of 2001, the Society's Historical collection was amalgamated with the Historic Dockyard Trust's own collection to form the new larger Museum Of The Royal Dockyard in the Fitted Rigging House, on Anchor Wharf. The Society is very active in its new quarters, manning the museum, meeting the public and dealing with their many and varied questions, in the Royal Dockyard Library, so come and meet us in the museum.